‪ A wedding photographer has the advantage of attending more weddings and have experienced first hand some of the best and worst moments during a wedding than every bride or groom alone. I have been photographing many weddings as primary and as a second shooter for primary photographers to consider myself somewhat knowledgeable about the process. Over the years, I have observed and mentally recorded many of the pitfalls that a bride and a groom make while planning their weddings. Some are simply the results of inexperience or lack of a wedding planner but other are made because not everyone considers or understands what a wedding photographer might need in order to produce great looking wedding pictures. 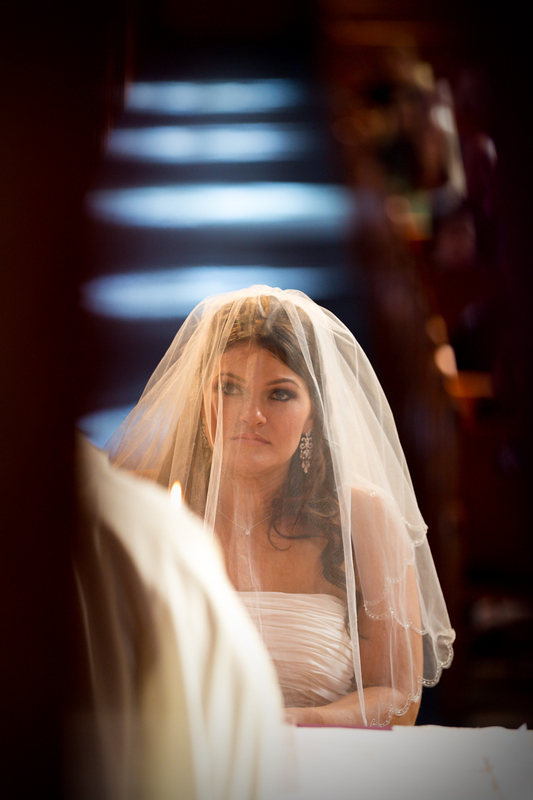 Even small mistakes could impact the photography of your special day in a negative way. ‪This blog article is an attempt to document some of the wedding planning mistakes and provide a list of tips each bride and groom could consider while planning their wedding. This is by no means an exhaustive list of anything that should be considered or planned for but it is something which could help each couple and make their experience and wedding pictures much better. Hair extensions and super long eyelashes look cool but when it gets to be too much sometimes it looks unreal and fake on your pictures. You will be pictured for generations to come and if you still would like to look real, it is a good idea to apply hair extension and eyelashes in moderation. This is actually more common than you think.‬ The wedding is about you and your groom and all guests come to your wedding because they respect you for the real person you are. Bringing too many people in your getting ready room might sounds like a good idea and lots of fun but it actually makes the room overcrowded and hard to work in. The photographer needs to be able to move around and capture the moments from different angles and points of view. If the room is overcrowded this is almost impossible with all the bridesmaids and other people in the room shielding the bride from all directions. If you have to invite everyone, then consider booking an over sized room so there is a room for everyone and room for the photographer to move around and take artistic images. Overcrowding and artistic, free-flowing and open spaces pictures don’t go hand to hand. No matter how trendy or unique look having pockets on your wedding dress might sound, it might not be a good idea to start with. Not that the pockets themselves are bad idea but it’s when you put your hands into these pockets and they stay there for most of the day. Let’s face it. Unless this is your third wedding or you were a wedding actress for years, you will be quite excited and may be bit nervous during your wedding. And guess what people do when they are nervous? They tend to stick their hands into their pockets and keep them there. Bride with hands into her wedding dress pockets causes the hips to look over sized on the wedding pictures simply because it adds to the body shape and form. It is also easy to cause the bride to slouch a bit which again doesn’t look very well on the wedding photos. With no pockets, the bride will most likely reach out and hold her husband hand, touch her hair or wedding ring which is much more pleasant to capture than slouching. So day no to the option of having pockets on your wedding dress. You would appreciate it later. LED and DJ lights are cool and fun but they also color everyone’s faces and clothing. Photography is about capturing the light so all these lights over your dress and face will be captured and in your reception photos. There is no magic wand to take them away in post-processing. If you plan to get your reception completely dark and have lots of LED and DJ lights, be prepared to have these all over your face and dress on your wedding pictures. The cocktail hour is right after your wedding ceremony and before the reception and people after having to attend a 45-60 minutes ceremony tend to get tired and what a better way to calm down their nerves and reduce their stress level than heading down to the bar and have a drink or two, may be three. So if you postpone the group pictures to after the cocktail hour and during the reception, most of the gusts a photographer has to photograph would be half-drunk, looking tired and all sweaty. Imagine having to gather 15 or so people around the reception area. All of these people have to put down their cocktails, appetizers and interrupt their conversations only to have a group photo. No wonder most of the people attending group photo session during the reception look very unhappy or with grossly fake smiles. Do everyone a favor and time the formals accordingly. The task to locate and bring all the family members into the formal photo area is a is chore on its own. Instead of taking the formal pictures right after the ceremony (as I recommend and strongly suggest you to consider), you or your wedding coordinator now have to chase everyone around the reception hall and bring them for the formals. No one knows your wedding party than you and your groom, and maybe the both sides of the parents. If most of the people invited on your wedding party, don’t like or usually dance on family events, investing lots of money in huge dance hall and DJ, might not be a great idea. Could be that other activities on your wedding would make more sense and would let them enjoy your wedding more: cigar bar, photo booth or photo wall, setting up Guitar Hero on a projector, etc. Not every wedding party will rock the dance floor and if people are mostly sitting around while you and your groom are trying to get them to dance, you would feel awkward after a while, wouldn’t you? Accept that you cannot change the wedding party, access their interests accurately and plan your wedding party accordingly. Don’t over relay your bridesmaids to help you during the day. Best idea is to get planning coordinator or assistant. If you cannot afford one, ask your siblings or immediate family to help you with this. Keep in mind that your bridesmaids will be too busy having fun, and getting themselves ready, than to really focus on helping you out with getting ready. Sure, when things fall apart, they will move the Earth to try to get your wedding on track… but by the time it has gotten to the point that they notice things aren’t going perfectly for the bride… it might be already too late. You will be frustrated, behind schedule and who needs that on a busy wedding day anyway? A wedding happens on multiple locations (venues) and you and your family, friends and guests will move from a location to location. It’s best to plan a time gaps between these location to allow your photographer to prepare for each venue. To transition from a dark and in most cases no flash photography churches, synagogues or mosques to bright sunlight outdoors for after the ceremony pictures, requires time for the photographer to adjust. The same when you enter the dark and cramped limo to take you to the reception venue. Grand entry, first dance, etc. Work with you wedding planner to add small gaps of 10 minutes between venues to allow ample preparation time. It will mean day and night difference and allow light stands and additional flashes or strobes to be setup and ready for you when you arrive. On your wedding day you will be surrounded by vendors who you personally interviewed, got to know and trusted to do the services you expect from them. Plans can change and this is OK. If you or your wedding planner decided to do something in the last moment, please consider letting your photographer know. Most likely you would expect to have pictures of this surprise or new additional event to your wedding. An experienced photographer will know how to handle even little things like running super fast into the hall during the grand entrance and trying to get the wave going. Giving heads up to your photographer even if this is a 5 minutes of lead time would mean he or she is prepared and will capture the moment. By no means is this an ask not to be spontaneous.‬ Just a communication and giving heads up to others so they are ready to take the images of it. On your wedding day trust your vendors and the advise they are providing. If you did your research right and hired the competent people, why not allow them to do their job. Sure they have much more experience performing multiple weddings in the last while this is your first wedding most likely. So, kick back, enjoy your day and let your year worth of planning come to fruition… Don’t drive everyone crazy by trying to micromanage them and impose your own view, which might not be always the right one. I hope you found these tips useful and easy to understand. If you appreciate the insights and think this information might be useful to anyone who is planning or might plan their wedding in the future, please share it by using the multiple sharing options on the bottom. As many people learn about these tips and consider them, everyone’s wedding images would be better eventually. Agree, disagree, have comments or feedback? Think I am missing a point or two or three? Drop me a line in the comments section and I will consider adding it (with full credit to you, of course). Categories: Photography Resources | Tags: ceremony, formals, photographer, reception, wedding photography, wedding planning, wedding tips | Permalink.